Termed as the “Hawaii of the East”, the pear-shaped Hainan Island is the southernmost province of China and a tropical beach paradise. Surrounded by the warm South China Sea waters and blessed with plenty of sunshine, clean white sands, and comfortable seaside resorts; the Province has a large number of domestic and International tourists visiting throughout the year. Another aspect of the region that attracts visitors is its picturesque snow-capped mountains and tropical rainforests with a variety of flora and fauna. 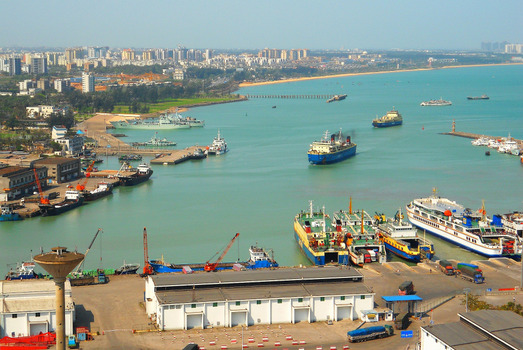 The island province of Hainan is separated from mainland China by the Qiongzhou Strait. It has a beautiful and long coastline, making it just perfect for a tropical seaside holiday. The central region of the Province consists of the Wuzhi Mountain Range with its highest elevation at 1,840 meters above sea level. The mountains are covered by a dense tropical rainforest that adds to the charm of the region. In fact, more than 61% of the land mass of Hainan Island Province is covered by natural forests. There are a number of lakes dotted across the expanse of the island. Most of these are artificial lakes, but over time they have developed a healthy ecosystem. They are filled with carp and catfish, which form a part of the daily diet of the locals. The northern region of Hainan Island is covered by ancient volcanic rocks. The eastern, northeastern, and some of the northern areas are covered by wetlands. The Nandu River, its tributary the Xinwu River, Wanquan River, Changhua River, and the Sanya River radiate from the central mountains and flow in different directions. Creatures like frogs, geckos, Asian pit viper, squirrels, toads, skinks, Siberian chipmunks, red bamboo snake, cobra, masked palm civet, and a multitude of butterflies can be seen in the forests and all over the island. There are no large predators on the island but the snakes are lethal enough! The island is a birdwatcher’s paradise with nearly 362 species of birds known to inhabit the Province. Hainan Island has a tropical monsoon type of climate. The months of July to August have hot summers with heavy rainfall and are not suitable for a vacationing or sightseeing. The winters are short but pleasant with the average temperate being 10oC. Other than the summer season, the rest of the year is fine for a seaside holiday. The eastern part of Hainan Province faces the path of typhoons and the humidity is almost 70%. There are frequent floods and storms in this region, especially in the summer months. Tourists usually prefer the beach resorts on the west or the hill resorts in the central mountains for their Hainan vacation. 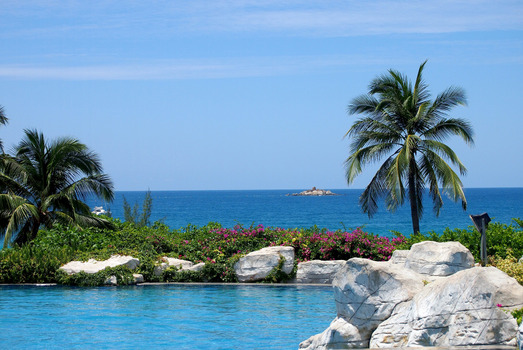 Tourism is the largest and most developed industry on Hainan Island. Besides Haikou, the capital city of Hainan Island Province, the city of Sanya is also a popular tourist destination. Its proximity to various attractions and the variety of resorts and hotels makes it a sought-after holiday spot. The towns of Boao and Xinglong also have many beachside resorts that provide various amenities for holidaymakers. Due to its strategic location, the Hainan Island Province is the People's Liberation Army Navy Hainan Submarine Base. It has a 60-feet deep nuclear submarine naval harbor constructed in the hills around a military post where tourists are not permitted. Agriculture and agro-processing are carried out extensively in Hainan. There are vast paddy fields along the lower hill slopes. Other crops that grow in plenty are coconut, sisal, black pepper, tea, coffee, cashew, oil palm, rubber, tropical fruits, sugarcane, and the extremely spicy yellow lantern chili. Fisheries-related industries are also a major source of occupation and income for the local. Other industries include mining, raw material processing, textiles, farm equipment, and machinery. Most of the industries are labor-intensive. Before 1950, the island province of Hainan was outside the usual cultural ambit of China. After 1950, when people from the mainland migrated to till the agricultural land and to work in the various industries, there has been a major upward trend in its economic and cultural development. Today, the population of Hainan is more than 8 million. 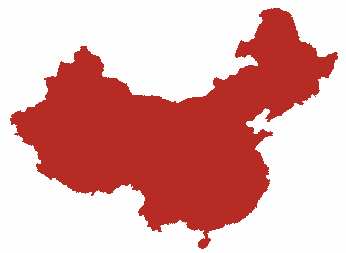 Of these, the majority are Han Chinese and about 1.2 million belong to the various ethnic groups like Li, Hui, and Miao. The people have still maintained their age-old customs, traditions, and religious beliefs. Hence, the island is a superb mix of cultures. Hainan Island is the largest producer of coconuts in China. In fact, the locals celebrate the Coconut Festival in end-March and April-beginning. There are various activities arranged across the island to celebrate this festival. Visitors can enjoy the beautiful coconut lanterns in Haikou, and the martial art competitions and dragon boat races of Sanya. The Sanyuesan Carvinal of Tongshi, which is also called the “love festival” is celebrated on 3rd March by the Chinese lunar calendar. Visitors can witness a traditional Hainan-style wedding ceremony during this festival. 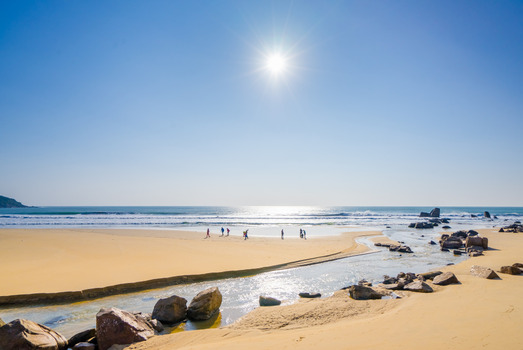 Hainan Island Province is served by two International airports, namely the Haikou Meilan International Airport and the Sanya Phoenix International Airport. A rail ferry connects the island's railway network to the mainland and there is a high-speed circular railway route around the island. The city on the mainland that is closest to Hainan Island is Guangzhou, the capital of Guangdong Province. The popular tourist attractions on the island include the Dongjiao Coconut Plantation, Wuzhizhou Island, Dongzhai Harbor Mangrove Natural Reserve Area, Holiday Beach, and the Asian Dragon Bay. The cuisine of Hainan Island is mostly of the Han Chinese style with mild seasoning. Tropical fruits and seafood are the most precious produce of Hainan Island as far as food is concerned. Hence, their specialties are also centered on these two main products. Shrimp, crab, and a variety of fish are used in their cuisine. The dishes are less oily and easier to digest. Instead of using chicken-fat to add flavor to the dishes, they marinate the meat in chicken stock before cooking it. This gives the main ingredient an extra flavor and richness that is typical of Hainan cuisine. Some of their special dishes are Hele Crab, Jiaji Duck, Dongshan Mutton, Wenchang Chicken (Von Sio Coi), Hainanese Chicken Rice, pumpkin rice, Qiongshan tofu, etc.